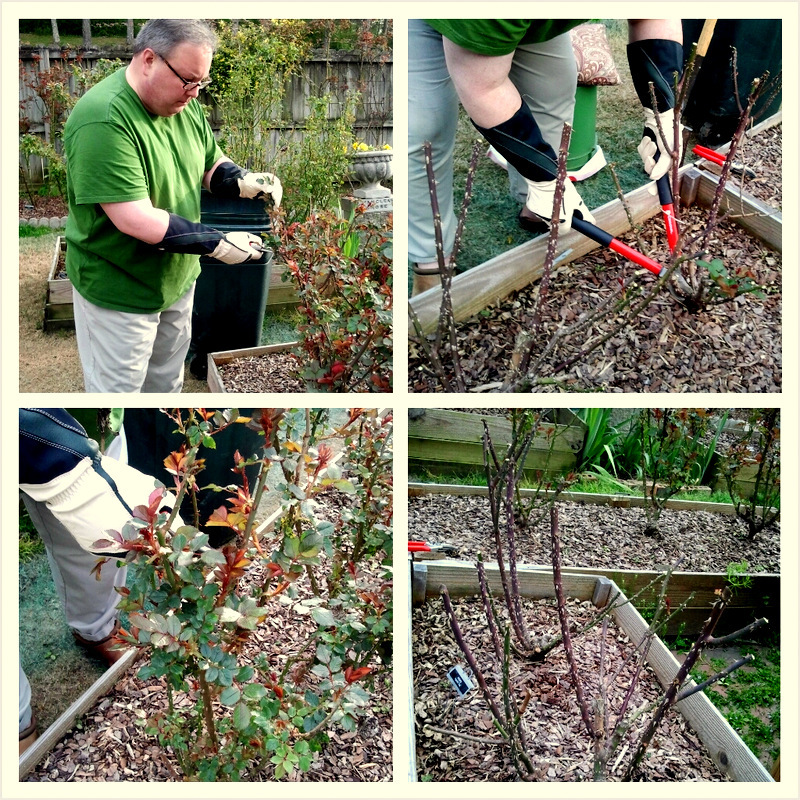 We have spent the last two weeks in a swirling cycle of “on again, off again” weather that has somewhat inhibited our efforts to complete our spring pruning of the rose garden. We are in the 60’s one day, and the 40’s the next. Steadfast in the knowledge that warmer days are fast approaching, we braved wind, rain and freezing temps to complete the task at hand.